SIUI develops and manufactures medical imaging systems, including ultrasonic diagnosis scanners, ultrasonic detectors and ultrasonic transducers. The company’s product range focuses on breast imaging, DR systems, needles/probes, transducers as well as ultrasound systems and parts. The Apogee 5800 Genius is a high-performance color Doppler ultrasound system featuring a generous and functional design and is powered by a new imaging algorithm and optimizing processing technology. 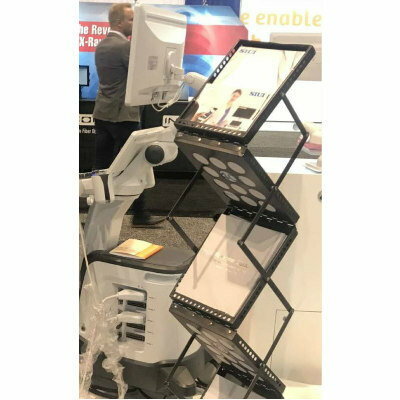 It provides premium image quality, making it ideal for advanced clinical applications such as abdominal angiography, 4D urography, and shear wave elastography.